Nutritional deficiencies of any kind can have an adverse effect on your health. A vitamin B12 deficiency can be particularly harmful, even if the deficiency is mild. In the long run, however, vitamin B12 deficiency can severely affect your health, as explained below. Vitamin B12 is a water-soluble vitamin that is naturally produced by bacteria that live in animals. As such, vitamin B12 is naturally found in most animal products like beef, fish, eggs, and milk. In the body, vitamin B12 plays several important roles. This vitamin is well-known for its role in facilitating brain processes and promoting cognitive functioning as well as the role it plays in monitoring the circadian rhythm. For this reason, doctors suggest that vitamin B12 treats insomnia and that patients should ensure that they get enough of this vitamin to promote healthier sleep patterns. Vitamin B12 is also important in the circulatory system as it helps the body produce oxygen-rich red blood cells which nourish all of the body’s organs. Lastly, vitamin B12 aids in metabolic functions by speeding up digestion, so many people incorporate vitamin B12 into their weight loss plans. Sufferers of vitamin B12 deficiency can experience a range of symptoms. Since vitamin B12 is active in various body systems, it can affect a range of body parts and functions. Symptoms can range from barely noticeable to severe decline, depending on the severity and duration of the deficiency. Cognitive ability is one of the most highly-affected areas struck during a vitamin B12 deficiency. Even a minor deficiency can make it difficult to focus and cause unexplained mood swings. Over time, a deficiency can cause severe cognitive decline. Studies show that individuals who were chronically deficient in their younger years are much more likely to experience dementia or Alzheimer’s disease in their old age. Vegetarians and vegans. Since vitamin B12 is naturally found only in animal products, vegetarians and vegans must make a conscious effort to avoid a deficiency. Lacto-ovo vegetarians are likely to consume enough B12 through diet alone, but vegans often look to supplements and fortified products to meet their dietary needs. The elderly. Vitamin B12 and the elderly have several connections. The elderly are less likely to be able to fully absorb nutrients from food alone, which exponentially increases chances of nutritional deficiency. Pregnant women. Pregnant women are encouraged to increase their intake of vitamin B12 prior to and during their pregnancy. Maintaining high levels of vitamin B12 prevents birth defects, especially defects that affect the brain development of fetuses. Since the body’s resources are put under strain during pregnancy, it is important to reduce the risk of deficiency for both mother and child. People with intestinal illnesses or surgeries. People who have an illness that interferes with nutritional absorption, such as Crohn’s disease or celiac disease, are likely to experience a range of deficiencies. Also, people who have had surgery that removed part of the stomach or small intestine are also at high risk for vitamin B12 deficiency. As with anything, prevention is the best medicine. Consuming at least 2.4 micrograms a day is sufficient for most people. However, if you are a high-risk individual or if you already know that you have a vitamin B12 deficiency, you may consider either changing your diet and/or adding supplements to your regimen. Remember that your diet should include plenty of animal products that contain vitamin B12. Foods such as shellfish, liver, crab, salmon, mackerel, eggs, cheese, and fortified grains and soy are all high in vitamin B12. If your dietary restrictions allow, introduce more vitamin B12-rich foods into your diet to treat a deficiency. Supplements, like food products, come in a range of options. However, most doctors agree that vitamin B12 injections are best. Anyone who has a deficiency derived from digestive issues won’t be able to absorb an oral supplement. As we age, our bodies have trouble absorbing vitamin B12—whether a previous digestive issue existed or not. Therefore, the elderly almost always need injections. Additionally, the general population usually prefers vitamin B12 injections too. Oral pills need to be taken once a day. Injections are usually only administered weekly. Vitamin B12 is a complex vitamin that plays many roles, so understanding a vitamin B12 deficiency can be complicated. However, understanding nutritional deficiencies is important for maintaining proper health. 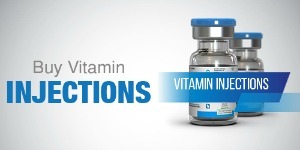 If you suspect a vitamin B12 deficiency, check out our line of vitamin injections. We can help you treat a deficiency and rejuvenate your health.